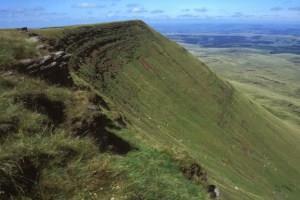 The Beacons Way Walk01874 623366work Walking RouteThe Beacons Way walk offers some of the best views the National Park has to offer. If you want to complete the whole 163km (101 mile) walk it takes eight days, or you can do it one day at a time at your convenience. Some days are more challenging than others so you can choose what suits you and maybe set yourself a challenge to build up to the more strenuous days.